Free up some office floor space and increase capacity—without losing control of your infrastructure. 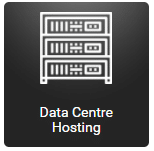 Moncrieff in partnership with Vocus provides organisations with the option to host all or some of your IT infrastructure in data centres Australia wide. 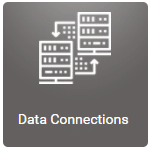 High-speed data connections ensure access to applications and data is provided to enable users to be productive. Keeping all your infrastructure in-house can pose a risk to your business. Secure data centres coupled with affordable, high-performance fibre network allows your applications to work at their optimum. Moving your IT infrastructure into a data centre increases the security and availability of your applications and data. Using the Vocus investment in Australia-wide data centres and data communications network, Moncrieff will optimise your IT. Moving to a data centre doesn’t need to be an all or nothing proposition. A hybrid solution places applications and data in the most appropriate locations to optimise the productivity of your users. A data centre solution can reduce the hidden operational costs associated with maintaining on-premise infrastructure. The pervasive usage of the internet and cloud in organisations operations and systems necessitates the high speed and reliable data connections. Having sub-par connectivity to the Internet or between sites drags down productivity costing the organisation. Employee engagement is also impacted when systems don’t deliver as expected. Moncrieff’s partnership with Vocus provides organisations with solutions that optimise connectivity without been an impost on budgets. Most importantly, keep your team productive and engaged. Call 1300 IT ASSIST (1300 482 774) today if you would like Moncrieff to discuss how your organisation can benefit from cloud technology. Alternatively, email ITASSIST@moncrieff.com.au.